A lot of people wonder what goes on inside of the Joker's head - well, wonder no longer! 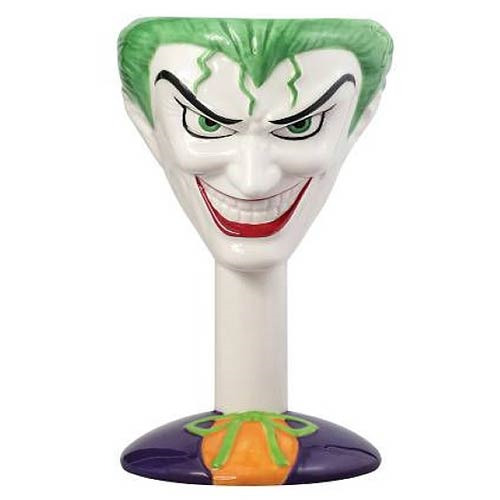 With the Batman The Joker Head Goblet, you can make soda or your favorite beverage be the only thing on the Joker's mind. Holds up to 13 1/2 ounces of liquid and measures 7-inches tall. Microwavable and dishwasher safe.